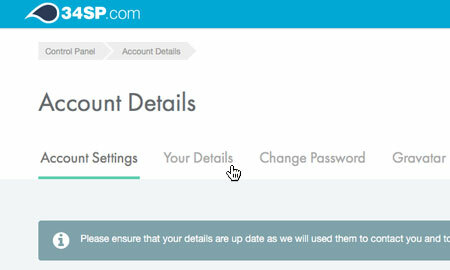 This is a quick step-by-step walkthrough for updating your account details via the 34SP.com Control Panel. Once you have logged in, click on the 'Account Settings' icon. 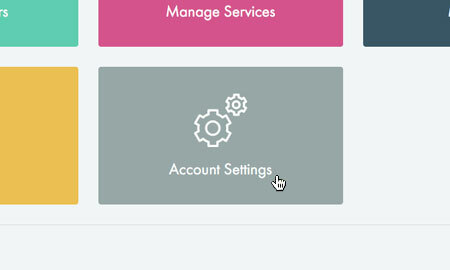 When viewing the 'Account Details' section, the first page is called 'Account Settings'. 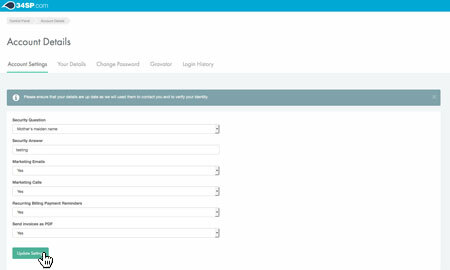 This short form you can update to change your account settings including your account security question and your marketing preferences (for how 34SP.com contact you). Once you have updated your settings, simply click the button labelled 'Update Settings' to save your settings. 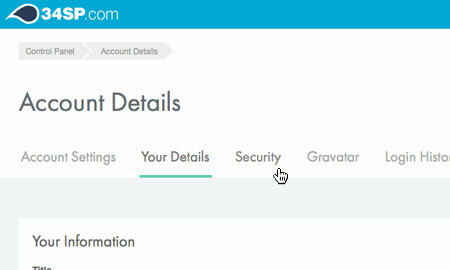 When viewing the 'Account Details' page, just click on the tab labelled 'Your Details'. 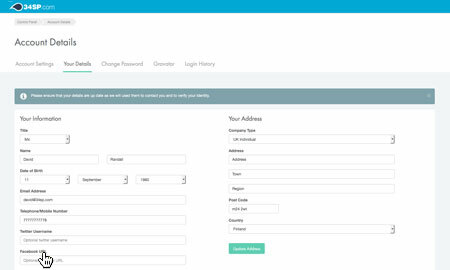 The 'Your Details' page is split into 2 forms, 'Your Information' & 'Your Address'. If you make any changes to the 'Your Information' section, simply click on the button labelled 'Update Details' to save your changes. Similarly, if you make any changes to the 'Your Address' section, simply click on the button labelled 'Update Address' to save your changes. Please note: If you contact 34SP.com by phone, we may use this information to verify your identity (such as asking for your post code). We therefore recommend keeping this information up-to-date. When viewing the 'Account Details' page, just click on the tab labelled 'Security'. 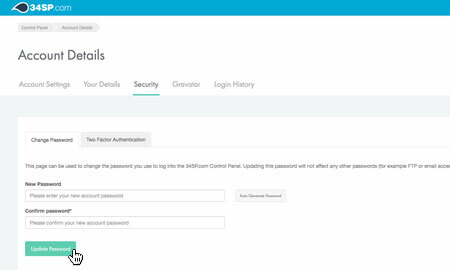 This short form you can update to change your 34SP.com Control Panel password. Once you have entered you new password into both fields, simply click the button labelled 'Update Password' to save your new password. 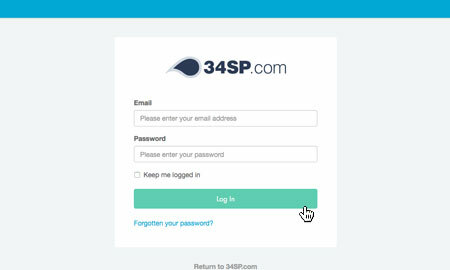 Please note: Updating this password will not affect any other passwords (for example ssh or email access) on your 34SP.com account.